Installing Decals on Cars, Trucks and Motorcycles. Installing decals on helmets. Decal installation instructions. 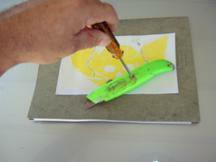 Decal Installation: First, Install a new blade in your utility knife, Un-sharp blades will damage the decal. 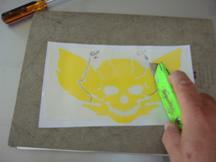 Decal Installation: Cut the decal into smaller units. It is too big to bend around a helmet in it’s present form. Now the decal is in three units which will be much easier to install. Decal Installation: After wetting the surface, apply the main part of decal up to the position marks (masking tap) that you applied prior to removing the backing. 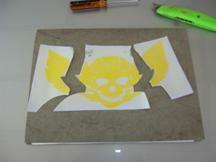 Start applying the skull face thru the centerline first, then branch off the centerline towards each end branch. 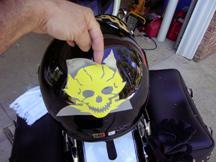 You can stretch the decal simply by pushing off the centerline into the direction you want the excess material to go. Decal Installation: After applying the right side, then apply the left. 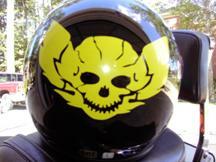 You may need to manipulate the decal in some areas to conform to the odd shape of the helmet. A slight amount of stretching may be required. Now… the final product. 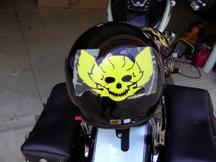 Motorcycle graphic kits. We need test bikes and you can save big! How to install decals and stickers on Cars, Trucks and Motorcycles. Installing Helmet Decals. Installing decals on helmets. 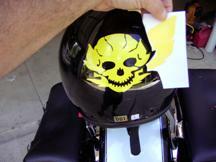 Decal installation instructions for reflective or vinyl decals and stickers. 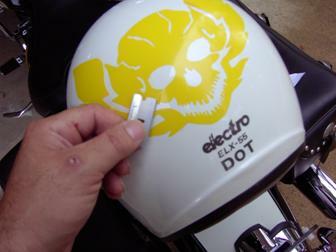 How to wet install decals and stickers.